Marketing Permissions — Esports Insider will use the information you provide on this form to send you regular information about the latest happenings in the esport industry, via the twice weekly ESI Dispatch and occasionally for marketing purposes. Please check the box to confirm the method in which we may contact you. You can change your mind at any time by clicking the unsubscribe link in the footer of any email you receive from us, or by contacting us at info@esportsinsider.com. We will treat your information with respect. We will use the data provided: To provide you with services or information that you have requested from us such as attendance at one of our events or receiving an email or newsletter; to share information with other entities within the SBC Global group to enable them to contact you with information about goods or services that may interest you; to perform statistical analyses of users of the site, and their viewing and participation patterns, for product development. For more information about our privacy practices please visit our website, http://www.esportsinsider.com/privacy-policy/. By clicking below, you agree that we may process your information in accordance with these terms. Why sign up to our esports newsletter? 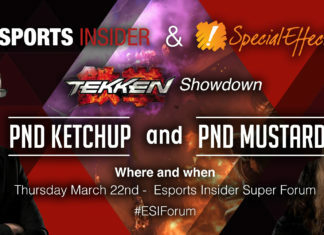 Our esports newsletter, also known as the ESI Dispatch, is sent out twice a week, on Tuesdays and Fridays. You can expect a jam-packed email full of the latest esports business news, all in one place. We cover the latest stories from across the industry, and provide a deeper insight too from our knowledgeable team who aim to ensure we live up to the name Esports Insider. All you have to do is simply sign up above. You can let us know what you think of our newsletter too, and what you’d like to see more of by dropping us a quick tweet or messaging us directly via info@esportsinsider.com. Why keep up with esports industry news? Ensure you are fully updated on what is going on within and across esports, this helps aid not only discussions with others in and around the industry, but also following how esports is changing and adapting. With each piece published, we love to hear your opinions on the matter and furthermore, it’s important to form your own opinions and ideas as there are a plethora of debate worthy issues across the industry.